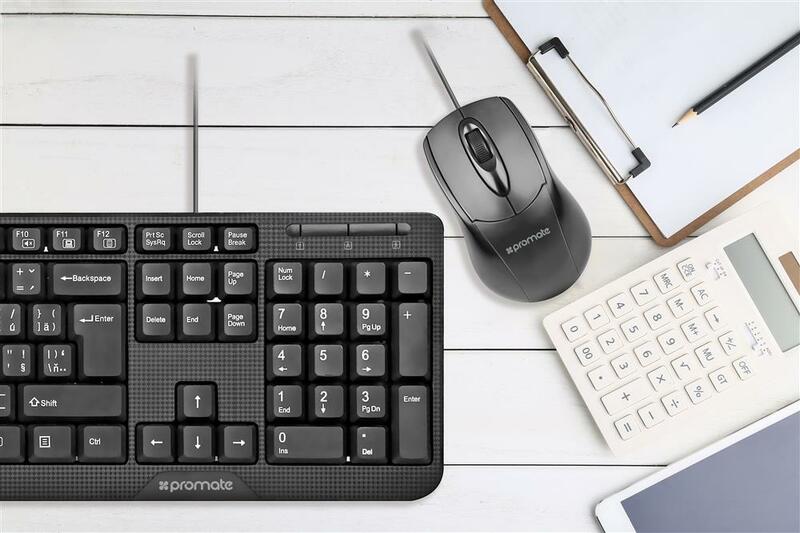 Combo-KM1 is an exceptional combination of a multimedia keyboard and a sleek mouse. It has the elegance and strength of a strong gaming keyboard and mouse set. It is a lifesaver for people who work on their computers for hours together. You do not have to worry about dying battery or continuously failing Bluetooth connection. Simply plug the wire in and start using it without any hassle. 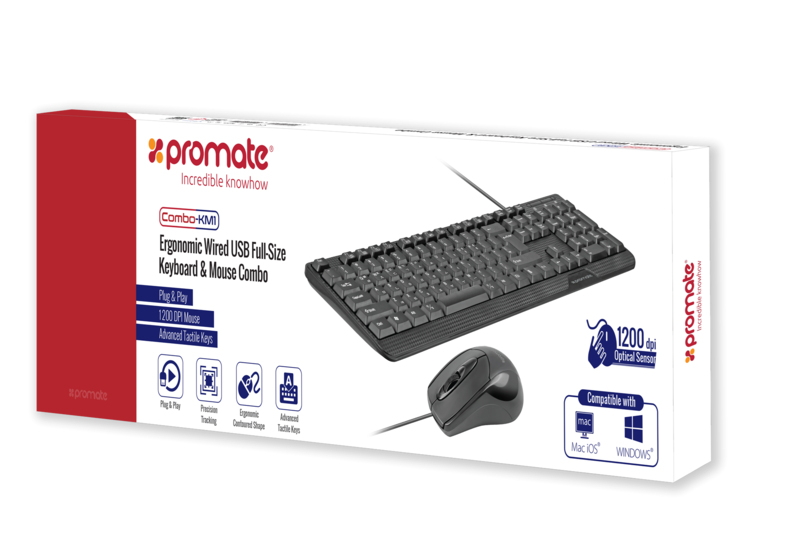 Combo-KM1 is a long-lasting keyboard and mouse combo with 10 million keystroke life. The keys are very soft and silent which means you can work without the annoying sound of hard key hits. Simply insert the standard USB wired connectors into your device and you’ll be typing and scrolling quickly as the driver will download and install automatically. The Combo-KM1 comes with Bold, Bright characters which makes it easier to read. It is the perfect mate for senior citizens and can be even used to type under nightlamps with less visibility. The Promate Combo-KM1 is very easy to use with the simple plug and play way. Simply plug it into your USB Port and start to explore No hassle of third party software and other installations. You do not have to worry about dying battery or continuously failing Bluetooth connection. Simply plug the wire in and start using it with any hassle Just Plug and Type. 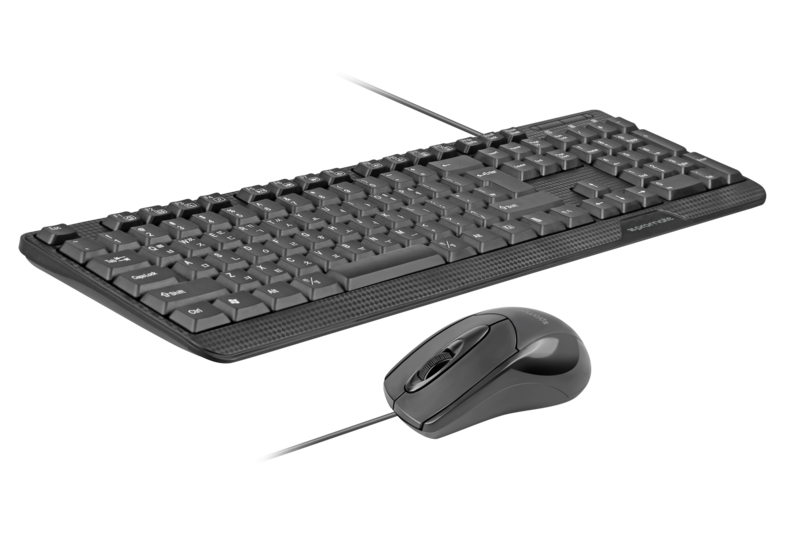 Combo-KM1 is a long-lasting keyboard that will work for up to 10 million keystrokes. It’s a sturdy keyboard and mouse combo made to last with a complete focus on the quality and the comfort of the user. The Combo-KM1 is compatible with all the Windows and Mac-based PCs and Laptops. Just connect it to a free USB Port and you're ready to explore.